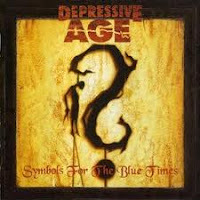 Symbols for the Blue Times is the third and best album from the German progressive/thrash team Depressive Age, but it does to an extent suffer from the same minor flaw of its direct predecessor: the requirement of the listener to involve him/herself emotionally while being exposed to Jan Lubitzki's shaky, accented vocals. 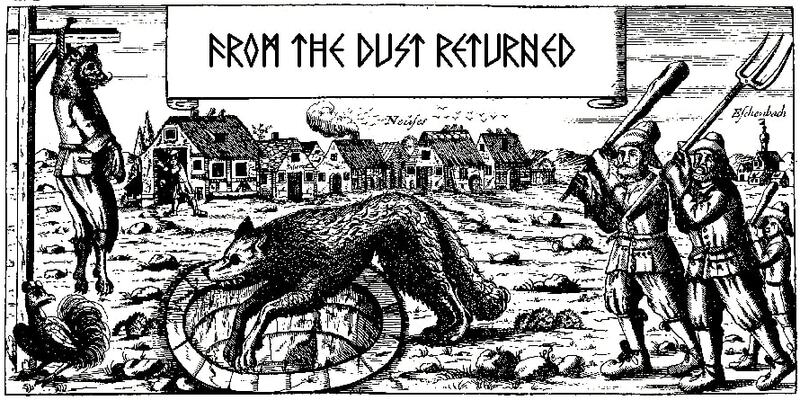 Once more, the man can hit a fair range of notes, and he writes his melodies well, but his tone is very reminiscent of a lot of German Gothic bands who use the same style (Dreadful Shadows, for example), only not in the same low pitch. That being said, I feel that his performance here is superior and more diverse than on Lying in Wait, and the musical content of this effort is so good that the slightly awkward lines are easily forgiven. Symbols for the Blue Times is largely a concept that explores the emotional resonance of the urban landscape, granting it an almost mythic quality. The lyrics are an odd roller coaster of visceral, depressing imagery ("World in Veins") and epic struggles ("Garbage Canyons") and despite its tendency to lay out the listener on the cold pavement, its often quite surreal and beautiful. My personal favorite tracks here are "Garbage Canyons", which opens with a stream of clean guitars to a floe of subtle, melodic chords and thrashing, Lubitzki whipping up a storm of focused emotion, beautiful if minimal guitar lines breathing beauty into the bridge; and "Hut", which is a mechanical, lumbering titan of sorrow delivered through riffing punctuation. But many others deserve mention: the surging and playful "We Hate Happy Ends", the solemn, rampant subdual of "Neptune Roars", the mystical "Rusty Cells" (similar in structure to "Garbage Canyons"), and the glorious yet morose finale "Mother Salvation". Depressive Age had the potential here to branch out wide beyond the few thrashers listening to them, for the material written for this is quite accessible to fans of progressive rock or even popular rock. The mix is good and clear, as bold as Lying in Wait, and every guitar melody rings like crystal. I wouldn't dub the album experimental, and the band would go a lot further out for their follow-up Electric Scum, but there's certainly a lot less of the thrashing of the debut First Depression, and a moodier influence from Gothic rock and perhaps even a dash of the more mainstream melodic grunge (Alice in Chains). The one hurdle here was probably Jan's vocals, which aren't bad, but wavering and different enough to turn off those seeking the higher pitched screamers that dominated progressive metal. Otherwise this album could have been huge news.